Posted October 20th, 2018 by Ms. Jen & filed under art + photography, nature + environment. Sat. 10.20.18 – Once again the pygmy nuthatches returned to the water faucet today and I was prepared with my Nikon D850 and a 300mm f/4 lens. 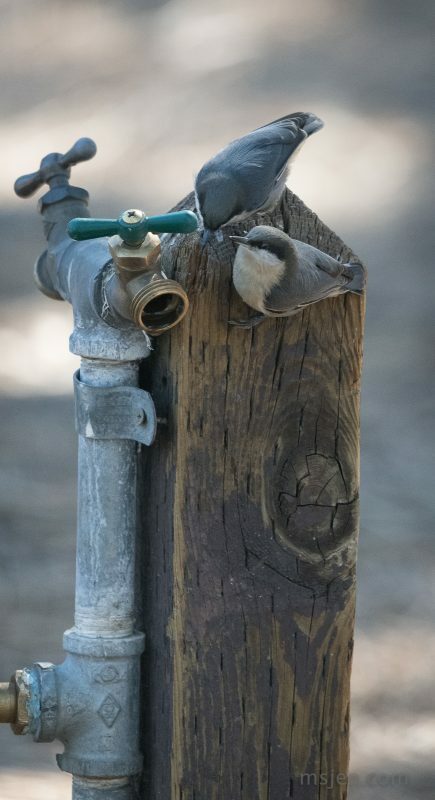 I was further prepared by optimizing the fn button on the front of the D850 to switch image size between FX and DX crop so that I would get more reach to take a nice photo(s) of any birds at the water faucet.